Who? Everyone may shop the Clothes Closet for themselevs or other family members. Donate clothes; New and gently used clothing items are accepted when the Closet is open. Please do not bring household items or toys. Do not bring items at other times or drop them off in the parking lot. 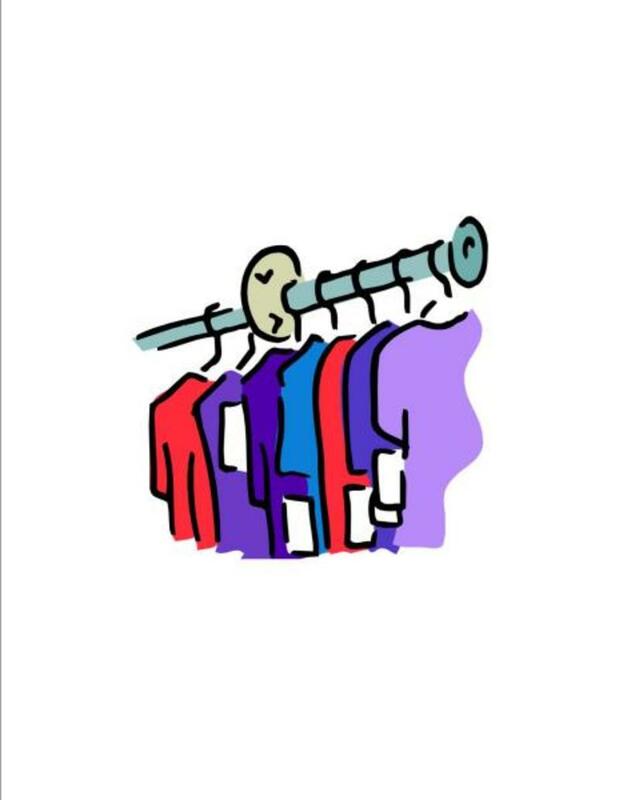 Donate your time: Volunteer your time to help sort clothes once a month or once a quarter. This is a wonderful ministry that can give back to our Community in these tough economic times. This ministry has blessed many people in the past, and continues to be a blessing to others!!! Those who come to the Clothes Closet are always very thankful. Many are surprised at the volume and quality of clothes. Volunteer workers have been blessed at the outpouring of donations and the interactions with customers. Consider this ministry as you clean out those clothes you can no longer wear and are taking up extra space in your home. What a wonderful way to give to others cost free and with very little effort. Also, please consider donating a few hours a month or year to help sort the clothes or help customers shop. And, do not hesitate to come shop for FREE clothes, we can all use a little economic help.